At issue was a December announcement that the U.S. Treasury Department would lift sanctions against companies tied to a Russian oligarch with strong ties to Russian President Vladimir Putin. WASHINGTON — Congress narrowly fell short this week of passing a stinging rebuke of President Trump's economic policies toward Russia — but members of the Texas delegation mostly sided against the administration's policy. On Wednesday, the U.S. Senate fell three votes short of issuing disapproval of a Trump administration agreement to weaken sanctions against companies tied to Oleg Deripaska, a Russian oligarch and close ally of Russian President Vladimir Putin. A day later, the U.S. House overwhelmingly approved the measure. At issue was a December announcement that Trump's Treasury Department would lift sanctions against companies — including an aluminum business — tied to Deripaska. Trump administration officials and their congressional allies argued that the new agreement weakened Deripaska's control of the companies. U.S. Sen. Ted Cruz and U.S. Rep. Kevin Brady, R-The Woodlands, said as much in their public statements after their votes. Cruz called the pushback against the Trump administration "political gamesmanship" in a Wednesday statement. “As Senate Democrats know well, this agreement weakens Deripaska — a very bad actor — which is why our European allies, including Austria, France, Germany, Ireland, Italy, Sweden, and the UK, support the Treasury's decision," he added. "Now these companies will re-enter the market, driving down costs and increasing the competitiveness of U.S. firms, including firms that employ tens of thousands of Texans." U.S. Sen. John Cornyn joined Cruz in that position. The Senate measure failed in a 57-42 vote, even as 11 Republicans crossed party lines. Sixty votes were needed to pass the resolution in the Republican-led chamber. It was a different story in the U.S. House. Identical legislation sailed through the chamber, which now has a Democratic majority, on Thursday in a 362-53 vote. Every Texan voted against the Trump administration, save for Brady and U.S. Reps. Brian Babin of Woodville and Randy Weber of Friendswood. 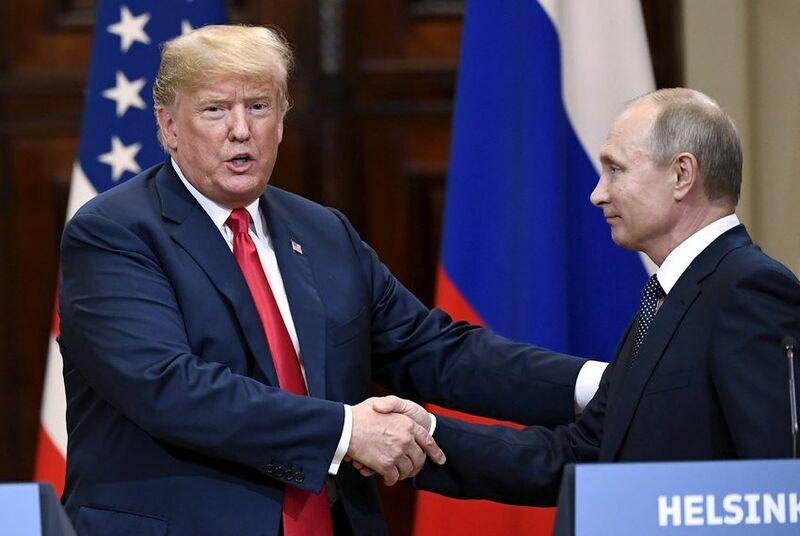 U.S. Rep. Lloyd Doggett, D-Austin, called the administration's moves a "one-way gift to Putin" and a "sham deal" on the House floor on Thursday. “If only President Trump were as eager to reopen our government as he is to reopen this sanctioned Russian company," he added. "The sanctions law against Russians, enacted over President Trump’s objection, was designed to deter Russian aggression against our democracy and beyond — to change Russian misconduct, not to yield right of way." Back in the summer of 2017, every single Texan in Congress voted to impose sanctions on Russia for interfering with the 2016 presidential and U.S. House elections. Personal sanctions against Deripaska will remain in place.